NASDAQ listed Rediff.com India Ltd has posted a net loss of $6.57 million in the year ended March 31, 2011, down from $8.03 million in the previous fiscal. The company registered a 15.6 per cent rise in total revenues to $21.79 million in the year from $18.84 million recorded in the year ended March 31, 2010. Revenues from India, which includes fee-based and online advertising revenues, contributed to $17.94 million, a 22.1 per cent rise on a year on year basis while US publishing business fell from $4.15 million to $3.85 million. The company reports that its active user base in India has registered a 43 per cent growth as indicated by comScore Media Metrix and now has a reach of 15 million unique visitors per month. Gross margins have lifted to $11 million and 50 per cent compared to $8.73 million and 46 per cent for the previous fiscal. Operating expenditure has risen to $15.78 million for the fiscal 2011. Rediff reports that its cash balance is now at $36.92 million. It will invest in product development and marketing initiatives and has said that it will continue to invest $1-$1.5 million per quarter throughout the fiscal year. "In the recent quarters and specifically in the last year, growth in revenue and in our user base shows very early signs of the positive impact of our strategic initiatives. We believe future periods will be reflective of greater recall of the Rediff brand, driven by our new service offerings, as well as the continued build-out of the broadband infrastructure in India. We also believe that the real growth for our company will begin to take hold over the next 12-24 months as anticipated broadband Internet and 3G services become more widespread and affordable, and equally important, as networks deliver a high-speed and higher quality internet experience for the consumer," said Ajit Balakrishnan, Chairman and CEO, Rediff.com, in a media release. For the quarter ended March 31, 2011, Rediff reported net losses of $2.28 million compared to the net loss of $2.34 million recorded in the same quarter in the previous fiscal. Its India online advertising revenues rose 24 per cent on a year-over-year basis. Total India revenue grew 20 per cent compared to the same quarter in the previous fiscal. The company continues to add more social media features - it introduced SlideSong, a feature that enables users to add music to photo albums and share with friends. It also expanded its music streaming service SongBuzz into the movies section which offers reviews on latest movie releases. In April, Rediff launched Deal Ho Jaye!, a group buying service in 40 Indian cities, with a cash-on-delivery payment option. "Building on its advantage as a pioneer in the e-commerce business and with a reach of 15 million unique visitors per month, the company offers merchants the ability to take advantage of its reach and generate new business through new customers by offering special discounts and promotions," said Balakrishnan. On Deal Ho Jaye, users can avail of 30-60 per cent discounts on restaurants, spas, hotels, healthcare, tattoos, hobby classes, adventure sports etc. The new section offers 70 categories. "We are excited about this new offering as it offers growth potential for our company over the long-term, while providing consumers with value-added, discounted services today," said Balakrishnan. The company has entered into the highly populated segment with various players including Groupon India, eBay India, Snapdeal.com, Dealsandyou.com, Mydala.com, Koovs.com, Dailydeal.in, Dealivore.com, Khojguru.com, Thekha.com, Scoopstr.com, 24Hoursloot.com, Masthideals.com, Snatchdeals.com, Lootmore.com, 30Sunday.com and Bindasbargain.com. Rediff's core businesses is from online advertisements. Rediff has direct relationships with the 250 largest advertisers in India and claims it has 20 per cent share of the display ad market in the country. Its other businesses include local deals, push e-mail (paid) and e-commerce. The company has said that in the past two years, it has entered new growth markets in an attempt to grow its subscription businesses, and has undertaken steps to improve operating efficiencies. It revamped its website to make it mobile ready and is focusing on improving the user experience on Rediff.com by adding more features. On Rediff.com, news segment grew 53 per cent year on year. The company has a 5 million user base in India for its social networking section MyPage and the company claims it is growing 600 per cent annually. 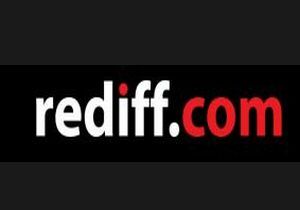 Rediff's Consumer Finance category is growing by 43 per cent while its video sharing feature has a 49 per cent yearly growth. For its email service Rediffmail, the company has partnered with government owned telco MTNL in New Delhi and Mumbai to offer paid push email services (a la Blackberry). Rediff charges $1 a month, which is inclusive of data charges. It is now in advanced discussions with other telcos to launch the service. Its India Abroad division, which was targeted at the USA, is now being modified into a tablet-based news product. "We want to build this out to be a world-wide single source provider for India news," Balakrishnan had said in an investor presentation. Rediff India Abroad has witnessed 3.5 million Indians outside India visiting the site. This target segment will be offered India Abroad on a subscription basis. Through its e-commerce site Rediff Shopping, the company has partnerships with 300 vendors and has an inventory of 100,000 SKUs. It ships out to 40,000 zipcodes in India. Next, Rediff plans to roll out local TV ads delivered through the Internet across India. Its acquisition of Vubites India, a Mumbai-headquartered television advertising firm, for $3.38 million in November 2010 adds a share of the TV ad pie to Rediff's portfolio. Rediff also has a 26 per cent stake in Tachyon Technologies and minority stakes in Newshunt app maker Eterno Infotech and Bangalore based location services firm Imere Technologies.